Are you giving thought to inserting a Hit counter on your websites main page? Many people aren’t very sure whether they should implement one or not. Here are some pros and cons of keeping a Hit counter. Most people use a Hit counter mainly because scripts of these counters are readily available on the internet. It doesn’t take much time for someone to find one. A Hit counter script can be found easily with a simple web search. Many of these visitor counters will cost you nothing but the only drawback is that you end up promoting the visitor counter website. 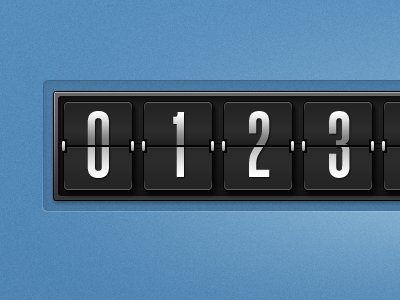 A Hit counter is simple to use and even more easy to install. These tools don’t require great technical knowledge as one just has to copy the script and paste it on to their main page. It is so simple to do. Anyone who does run a website should be able to do the same without any problem. Another good thing about having a Hit counter on your website is that there are many sources for these counters. All you need to do is search for the one that suits your website. You can download it with a click of a button. Quality wise, these counters are the same. As a result you will have many choices in front of you. The number 1 reason why people take to such Hit Counters is so that they can see for themselves as to how well the website is doing. A hit counter gives a measure of the people who visited the website. In a sense a visitor counter helps one to check their popularity ratings. If one see’s a higher number on the visitor counter they will be encouraged to purchase or do business with you. The more number of visitors, the more reliable is your website. If more people are making the effort to click on your website that means your website is doing well. If anything is a boon it will somewhere be a bane as well. 1) None of the Big Websites Boast of a Hit Counter. One must ask themselves have they ever seen a well known website have a visitor counter. The answer to this question is that if these big names don’t use one then probably you shouldn’t either be taking the pains to use one. Take for example, a situation where your website doesn’t have the visitor’s numbers to show. Other visitors who will land on your website will be discouraged on seeing a low number. Immediately they will come to a conclusion that your website cannot be trusted. This results in a poor market image. 3) Free Hit Counters make the Website Heavier. With a free hit counter webpage’s take a lot of time in loading. This shall cause the customers to keep away from your website. Many websites show higher visitor counts these days. Such gimmicks will only back fire. 5) Hit Counters are No Longer Cool. The truth is these tools have become somewhat obsolete. Nobody in this day and age has time to bother about the number of visits. Every website aims at increasing the visitors to it. But when you think about it the cons out weigh the pros of having a Hit counter. Webmasters earlier believed that these tools were truly required on their webpage’s. Sadly, these very people are again having a hit counter now. The netizens really don’t have the patience to pay attention to the visitor’s numbers. Instead of monitoring the numbers one can keep track of their potential customers. Site tracking allows you to do just that. In site tracking you understand which path the visitor didn’t take. It is astonishing but true that many people don’t even make it past the websites main page. Site tracking is something that companies and businesses alike are using freely. Hit counters are of no good use and it is best to avoid the implementation of one on your website.